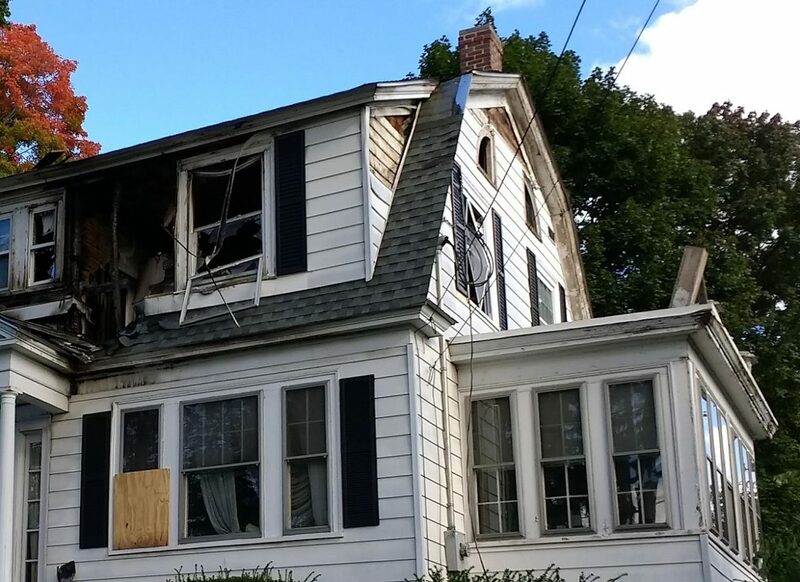 A home in North Andover, Massachusetts, was among those damaged in the Merrimack Valley gas explosions in September 2018. A letter signed by 77 local boards of health asks Gov. Charlie Baker to suspend new gas projects until after a review. Massachusetts public health officials are asking Gov. Charlie Baker to require studies of potential health and safety dangers before approving any new natural gas infrastructure in the state. “What we want to say to him is: No more fracked gas infrastructure without a comprehensive study in advance of how it is going to affect the health and safety of the people nearby,” said Deb Pasternak, interim president of the Massachusetts Sierra Club, which is coordinating the effort. Campaign organizers delivered letters to the governor and legislative leaders last week signed by 77 local boards of health representing more than 40 percent of the state’s population. The smallest municipality to join the effort thus far is the western Massachusetts town of Peru, population 847; the largest is the capital city of Boston, representing more than 617,000 residents. The campaign is part of ongoing efforts by the Massachusetts Sierra Club and other local environmental groups to move the state away from natural gas. At the same time, state leaders and energy insiders argue natural gas expansion is needed to meet demand, contribute to the economy, and keep the power system reliable. New England’s demand for natural gas has increased sharply over the past 10 years, as low-priced shale gas has become an ever more attractive fuel for power plants. Infrastructure, however, has not kept up demand, leading many to conclude that the region needs new pipelines to ensure a steady supply, reliable power and affordable prices. The state has already placed a temporary moratorium on the approval of new natural gas projects following a recent disaster in which excessively pressurized gas lines sparked dozens of explosions and fires in the Merrimack Valley, north of Boston. The Department of Public Utilities has also hired an independent evaluator to assess the safety of the existing natural gas distribution infrastructure in the state. These actions do little to allay activists’ concerns. A few larger natural gas infrastructure projects are in the works in Massachusetts. Even before the statewide moratorium, however, their progress had been slowed by opposition from activists concerned about greenhouse gases and residents worried about safety issues. The Access Northeast pipeline, a proposed 125-mile expansion of the existing Algonquin Gas Transmission line in Connecticut and Massachusetts, has been held up by legal challenges to its planned funding model. A compressor station planned for the town of Weymouth has been delayed by more than a dozen lawsuits. The worries of natural gas opponents go beyond emissions created by burning the fuel, and their campaign aims to educate the public and policymakers about other potential dangers. Massachusetts has the second oldest natural gas infrastructure in the country. Utilities have reported about 16,000 leaks in the system statewide. In the Boston area, 2.7 percent of the gas that flows through the lines escapes into the atmosphere, according to a study by the Harvard School of Engineering and Applied Sciences. When natural gas is burned, it is largely converted into carbon dioxide, explained Audrey Schulman, founder of the nonprofit Home Energy Efficiency Team. But when it flows directly into the atmosphere, the gas has a much higher concentration of methane, which is a much more potent greenhouse gas, trapping heat anywhere from 30 to 80 times as efficiently as carbon dioxide, according to various researchers. And these gas leaks also drive up consumers’ bills, as utilities pass the cost of escaped gas on to customers, Schulman noted. “They are not incentivized to really understand the extent of the problem or to come up with a rapid solution,” she said. By its very nature, natural gas can also cause fires and explosions, a point driven home by the disaster in the Merrimack Valley. The Sierra Club campaigns had been underway for months at that time, but the incident did bring the perils of natural gas into focus, Pasternak said. “It’s a shame that those explosions are what it took to bring to a lot of people the understanding that it’s not a safe system,” she said. Gas companies, however, are committed to improving the safety of their systems, regaining the public trust, and expanding natural gas infrastructure in the state, Kiley said. Natural gas is just too important to consumers and the economy to do anything else, he said. Sarah Shemkus is a long-time journalist who covers business, technology, sustainability, and the places they all meet. Her work has appeared in The Guardian, The Boston Globe, TheAtlantic.com, Slate, and other publications. The potential for sinkholes could pose problems along interstate gas pipeline routes through northwest Ohio, warns a report submitted to federal regulators last month. A video released by an environmental group this month raises questions about the safety of pipelines running beneath the Straits of Mackinac. Enbridge says the concerns are unwarranted. Bulldozers have begun moving dirt to build a 600-mile pipeline across several Midwestern states that will carry crude oil from tar sands in Canada and North Dakota shale destined for refineries along the Gulf Coast.